In late 2017, the FCC voted to reverse net neutrality rules — but those in favor of an open internet aren’t going down without a fight. Opposition has already begun its move against the FCC’s decision, and it’s played out in many different ways. In mid-January, attorney generals from 21 states and the District of Columbia moved to sue the FCC in an attempt to overturn the December vote. Meanwhile, Senator Ed Markey is pursuing rules in the Congressional Review Act, which allow Congress to undo certain agency decisions, like those of the FCC. Republicans successfully used the act last year to reverse a number of Obama administration rulings, most notably, the broadband privacy rules on sharing customer data. It’s giving net neutrality proponents reason for hope. While both techniques could end up influencing at a federal scale, it’s individual state lawmakers and governors that’ve picked up the mantle of regulating ISP activity — and it’s giving net neutrality proponents reason for hope. The bill (SB460), which passed 21-12, would require ISPs operating in the state to follow the kinds of net neutrality rules that were in place at a federal level before they were repealed by the FCC in December. It is a direct rule against all ISPs to operate neutrally. The bill is being championed by President pro tempore of the California State Senate, Kevin de León. If passed, it would allow California to enforce net neutrality via its consumer protection laws, which are some of the most stringent in the country, and add regulations overseeing unfair business practices, which would prevent ISPs from misrepresenting themselves to customers – as with claimed connection speeds, for example. The laws are already used to protect consumers against fraudulent purchases, like selling an overpriced used car with undeclared damages or faults. Should it pass, the bill would enshrine net neutrality into Californian law and twist the arms of ISPs into complying with the principles. According to the Electronic Frontier Foundation, the efforts of California are headed in the right direction but face serious legal hurdles. Many state laws can be overturned or invalidated by federal policy. EFF’s Ernesto Falcon suggests that California, which spends millions of dollars on broadband subsidy programs with ISPs like AT&T, should mandate that these ISPs follow net neutrality rules to receive funding. California has more than four million utility poles across the state, and this infrastructure is key for ISPs to deliver their services. Falcon said that California, not the FCC, has the power to regulate who has access to the poles, and can impose net neutrality as a condition for this access. According to the EFF, the subsidies and poles are small but very significant aspects of the state’s broadband system that cannot be overlooked. If these aspects go unheeded in regulation, it could create a gap in the fence for ISPs and federal authorities to challenge it. EFF is hoping Wiener’s bill picks up this slack. Nevertheless, the efforts of California, the nation’s most populous state, will set a tone. “The size of California’s economy is so large that policy changes in the state may push industry to respond. For instance, years ago, the automobile industry responded to air regulations passed by California that were stricter than national-level regulations,” said William Hatcher, PhD, associate professor from the Department of Social Sciences at Augusta University. Other states have taken a different approach that may be more effective. Montana governor Steve Bullock, a Democrat, signed an executive order in January that prohibits state agencies from granting contracts to ISPs that do not observe net neutrality. As a result, ISPs that do not treat internet traffic equally will be ineligible to apply for contracts and supply their services to the state. This a roundabout way of enforcing net neutrality without enacting entirely new legislation like in California. The Montana order goes into effect on July 1 and will impact AT&T and Verizon. 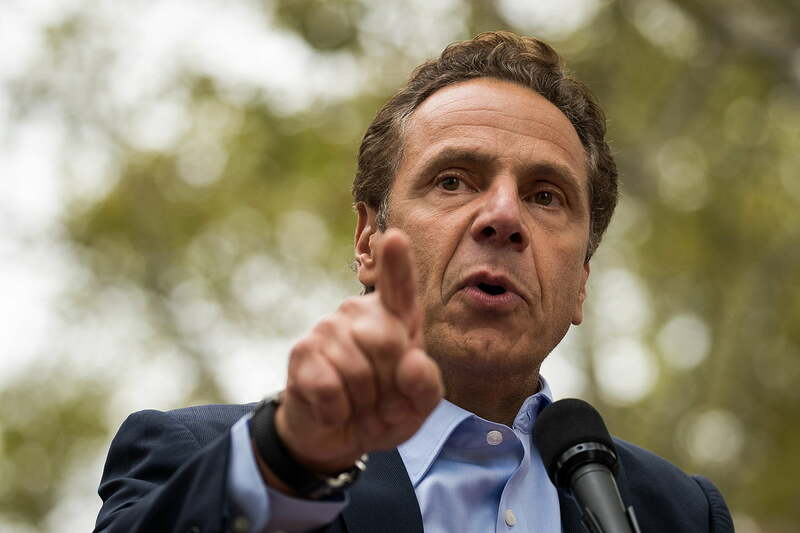 In late January, Andrew Cuomo, the governor of New York, signed a similar executive order. “The FCC’s dangerous ruling goes against the core values of our democracy, and New York will do everything in our power to protect net neutrality and the free exchange of ideas,” said Cuomo upon signing the order. By restricting what ISPs these agencies can do business with it will, in theory, force the ISPs to comply with net neutrality, or risk losing out on lucrative state contracts. “That’s a novel approach, and I think it’s got a decent chance of working,” explained Kevin Grierson, partner at law firm Culhane Meadows, which has offices around the country. The idea is catching on, and proves that the battle ground isn’t limited to the populous states like California and New York. On February 5, New Jersey governor Phil Murphy signed his own executive order that places similar requirements on state agencies’ dealings with ISPs, stating that companies and individuals don’t have the “right to pay their way to the front of the line” on the internet. Rhode Island is considering similar bills that would restrict what ISPs could obtain state contracts. Two separate bills introduced by two Democrats stipulate that any internet service purchased or funded by Rhode Island must adhere to net neutrality. These are all strong efforts, but they will face a host of challenges and counter-efforts to invalidate them. Economides believes that challenges to the FCC directly – much like what the attorneys general are doing – is a more effective method. If that is successful, the state laws would be unnecessary. The ACLU’s Chad Marlow believes states should go ahead with their legislation and put the law to the test. That’s a problem. The case for restricting state contracts centers on whether the state is acting as a regulator or a market participant. If a court finds a state is acting as the former, the FCC would be able to invalidate the law. Even so, the ACLU’s Chad Marlow believes that states should go ahead with their legislation and executive orders, and truly put the law to the test. “I think what’s going to happen is we’re going to end up in court all over the country. We’re going to have litigation and get different decisions all over the country. We’re going to end up having a mish mash of laws all over the country that I don’t think is going to be satisfactory to any stakeholders,” he said. At this point, all we say with any amount of certainty is that the fight for net neutrality is far from over — it’s only just begun.